Katelyn and her brother Kevin have never had it easy. They are constantly moving because of their mother Lucinda. Lucinda is abusive to Katelyn both verbally and physically. Katelyn figures that it is easier to take the brunt of her abuse to keep Kevin safe. She is afraid that if she were to tell someone about the abuse, that the system will split her and Kevin up. She makes a promise to Kevin that one day, everything will be okay for them. 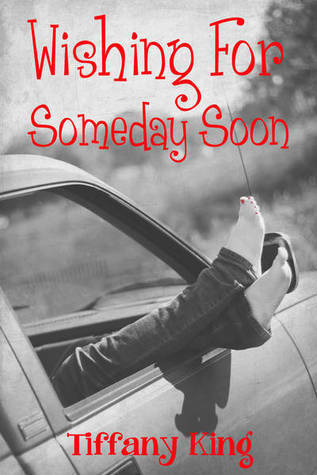 They call it their "Someday Soon". Lucinda decides its time to leave California for Montana. Katelyn first meets Max at the supermarket that his father owns. Max is determined to get to know her better so he offers to help tutor her in math. Katelyn is afraid to get too close to Max for fear of revealing her family situation. Little does she know that this town is unlike any other one that she has lived in. She begins to let her guard down with Max and has hope that "someday soon" may be closer than she thought. Things take a turn for the worse, affecting the one person she tried to shelter from the hurt, Kevin. I bawled my eyes out while reading this, it was such a heart wrenching story. I had such a difficult time getting through it because the problems were so real. Katelyn is such a strong girl and the love she had for her brother was beautiful. I did not expect the last chapter and it broke my heart. Once I read the epilogue, I was glad how everything turned out. What an excellent book by Tiffany King!